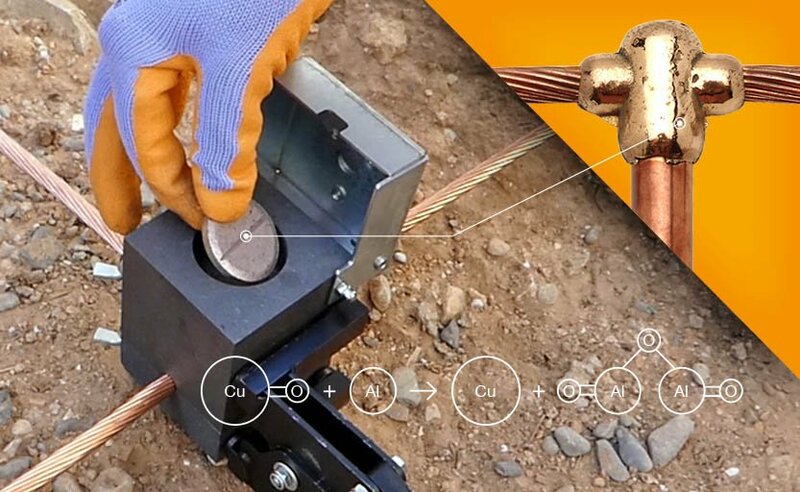 Exothermic welding, also know as exothermic binding, thermite welding and thermite welding, is a welding process that achieves the molecular binding of two or more metallic conductors by a chemical reaction. 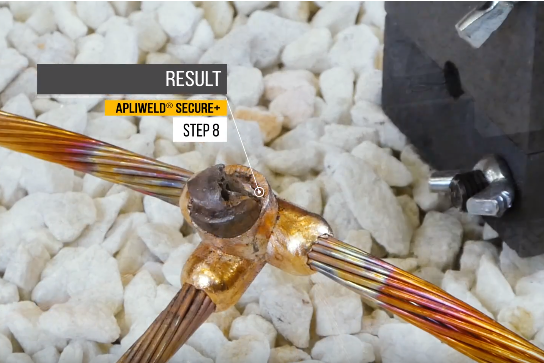 This molecular binding improves mechanical, electrical and anti-corrosion properties compared with any mechanical or clamped connection. 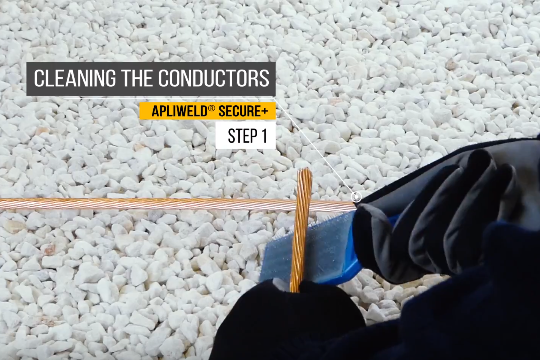 Apliweld® exothermic welding is the simplest, safest and most efficient way to make permanent, reliable, high conductivity and high quality electrical earthing connections. The operating procedure is very similar whether you are making a connection using a specific or a multiple mould. Clean and remove any impurities from the conductors and the mould. Recommended use of Conductor Cleaning Brush (AT-061N) and Vertical Mould Cleaning Brush (AT-062N). 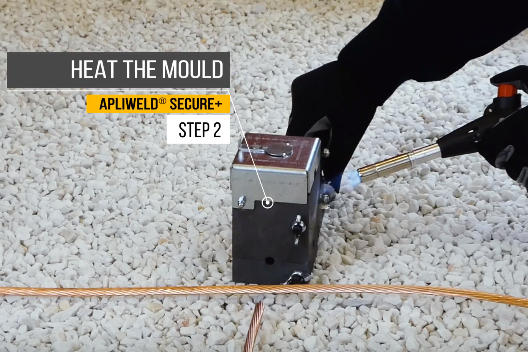 Ensure mould is dry, by pre-heating it or making a test joint. Recommended use of Blow Torch (AT-075N) and Gas Cartridge (AT-076N). Place the conductors in the mould and close the mould. Make sure it is perfectly closed. 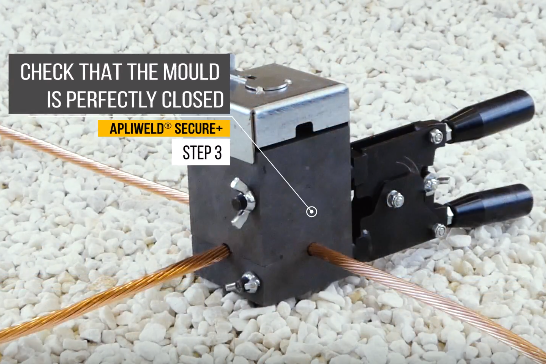 When using a multiple mould, add layers of Cavity Sealants (MM-CS) between conductors, for a perfect result. 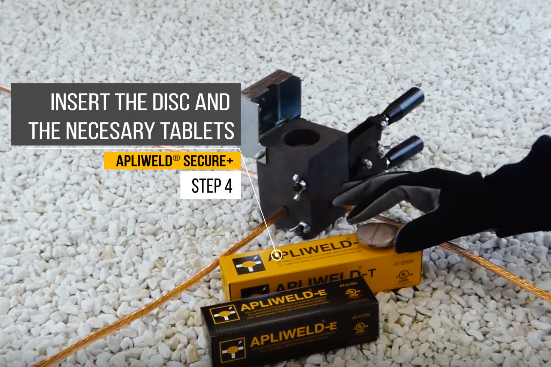 Insert the necessary number of Apliweld-T Exothermic Welding Compound Tablets (AT-020N or AT-021N). 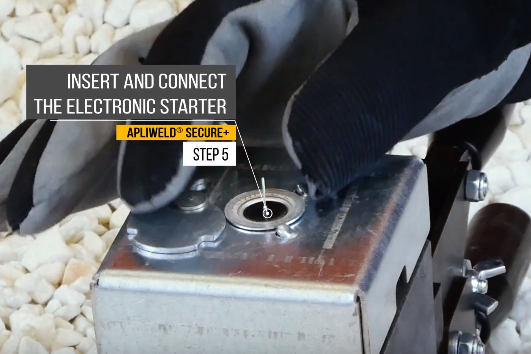 Insert and connect the Apliweld-E Exothermic Welding Electronic Starter (AT-010N). 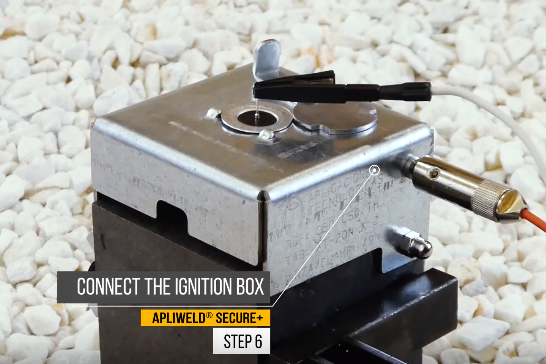 Connect the Electronic Ignition Device/ Box (AT-114N) with the mould using the Connection Cables (AT-098N). 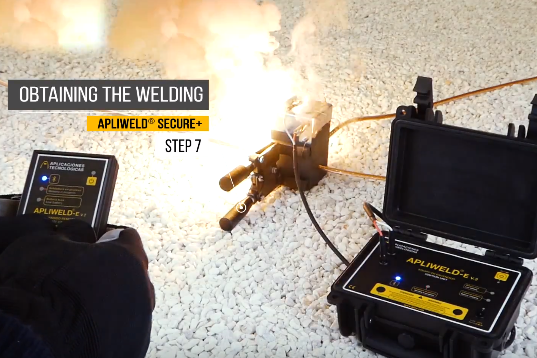 Obtain the welding. Ensure that you wait some time before opening the mould to allow joint to solidify. 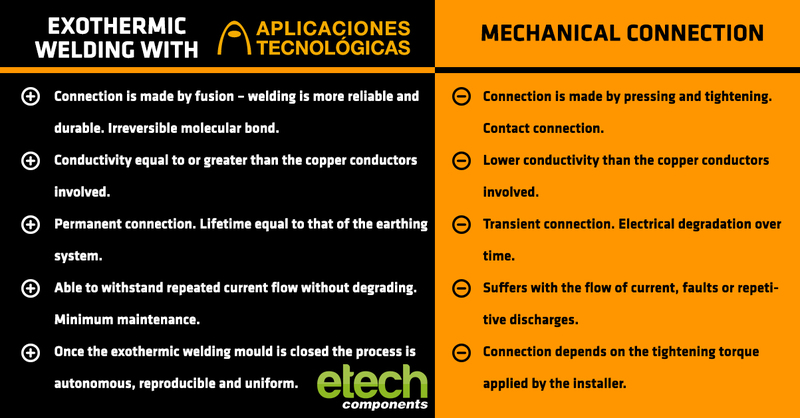 Aplicaciones Tecnológicas are experts in lightning protection and exothermic welding. Their aim is to be the technological reference in their field, providing the most complete, safe and technologically advanced range of products and solutions.